jewelryunlimited786 has no other items for sale. 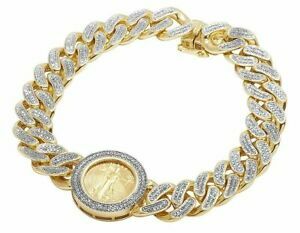 Details about 24K Yellow Gold Lady Liberty Coin 12MM Genuine Diamond Bracelet 2 1/2 Ct 8.5"
*$140 for 24 months. Minimum purchase required. $0.00 shipping for each additional eligible item you buy from jewelryunlimited786, when you use the cart to make your purchase.